Commonly eaten vegetables include cabbage, garlic, scallions (spring onions), carrots, bell peppers (capsicum), chilis, tomatoes, bamboo shoots, lettuce, cucumbers, celery and mushrooms. These vegetables are simmered in soups and served with noodles, added to stir-fries and curries, wrapped in rice paper, or served as a side dish or salad. 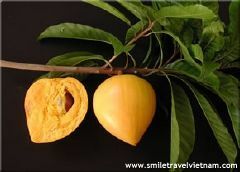 Popular fruit include mangoes, pineapples, melons, lychees and mandarins which are eaten as a snack or sweet accompaniment to food, or added to savory dishes to impart a contrasting sweet flavor. 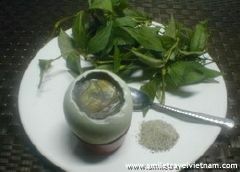 Legumes (beans, peas and lentils) are commonly eaten throughout Vietnam. Bean curd (tofu), which is made from soy beans is used in many traditional dishes. Bean sprouts and snow peas are also a popular addition to food. Peanuts are ground down into a paste and added to braises, soups and noodle dishes, or crushed and sprinkled over foods at the end of the cooking process to add texture. Sesame seeds are used to make fragrant sesame oil (which is added in small amounts to food as a flavor enhancer) and are also sprinkled whole over foods after cooking. 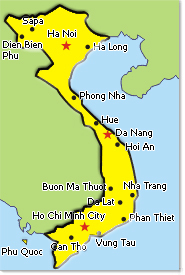 Vietnam borders the ocean, and also has an extensive river system, so fish and shellfish are a staple part of the traditional Vietnamese diet. Shrimp, crab, squid, mussels and countless varieties of fish are eaten. Fish and shellfish are enjoyed in noodle soups, stir-fries, rice dishes, coconut milk curries, baked and grilled dishes or wrapped in rice paper rolls. 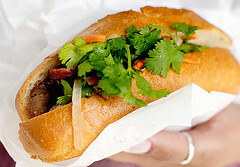 Meat such as beef has traditionally been eaten sparingly throughout Vietnam. Pork is more popular, but it is still eaten in moderation. When meat is used, a little goes a long way, such as in the popular Vietnamese beef and rice noodle soup Pho bo, which uses paper thin slices of beef. Poultry such as chicken is eaten regularly and is enjoyed hot or shredded cold in salads. Eggs are typically enjoyed in moderation. Soy sauce is used in northern Vietnamese cooking (northern Vietnam borders China), but is rarely used in the central and southern parts of Vietnam where fish sauce (nouc mam) is the most important flavoring ingredient. 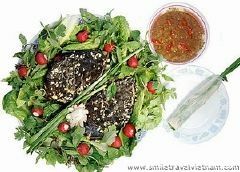 Fish sauce is made from fermented fish and is used as a flavoring ingredient in a wide range of dishes and is also used to make condiments and dipping sauces such as nuoc cham. Fresh herbs are another essential part of Vietnamese cooking, and are chopped or simply torn and typically added to food after cooking to add a rich fragrant flavor. The most widely used herbs include cilantro (coriander), mint and basil. Chilis and black pepper are used to add heat and flavor to dishes. Sometimes thinly sliced fresh chili will be used as an edible garnish. 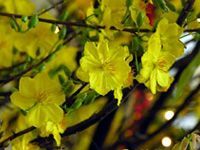 Other important flavoring ingredients in Vietnamese cooking include garlic, lemongrass, ginger, vinegar, five spice powder, hoisin sauce and the juice from lemons and limes. 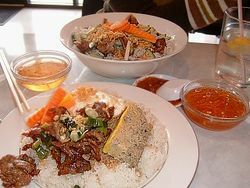 Like most Asian cuisines, grain-foods feature prominently in Vietnamese cooking. Rice is the most popular grain, and is eaten as an accompaniment to food, or ground into rice flour to make noodles and rice paper. Rice noodles—as well as noodles made from wheat and bean starch—are highly popular throughout Vietnam, and it's not uncommon for people to have more than one noodle dish a day. 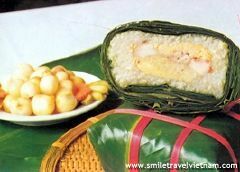 Rice paper is used to make rice paper rolls, which are served with dipping sauce.